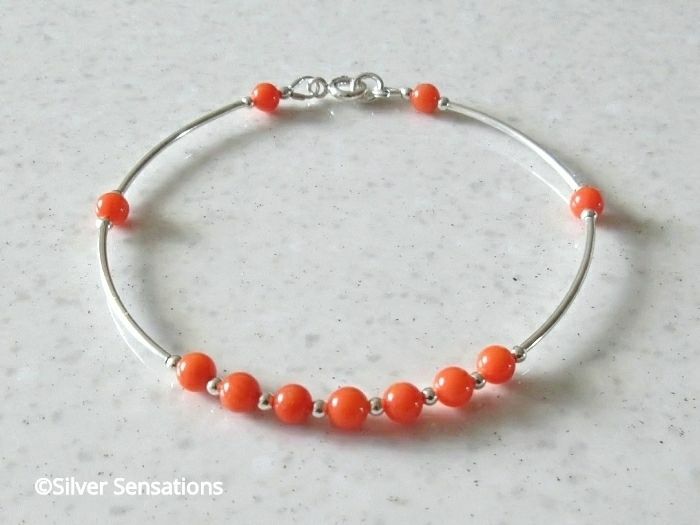 For this limited edition handmade designer bracelet I chose striking orange Coral round beads which are 5.5mm - 6mm in size. 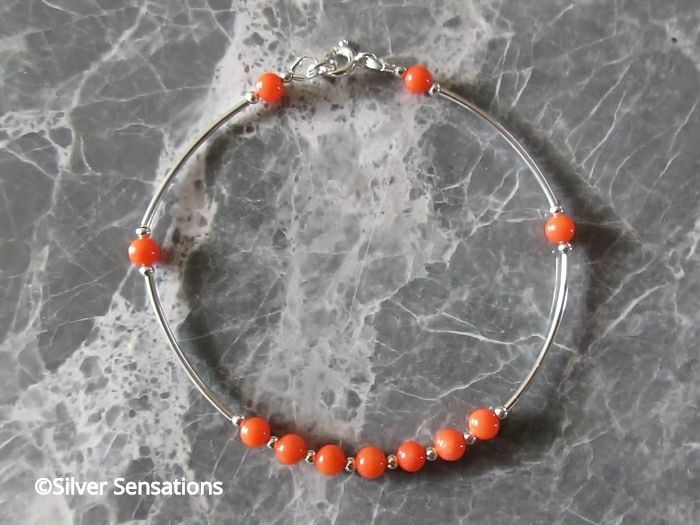 At the front of the bracelet are 7 of these semi precious gemstones with a small Sterling Silver seamless bead between each one. 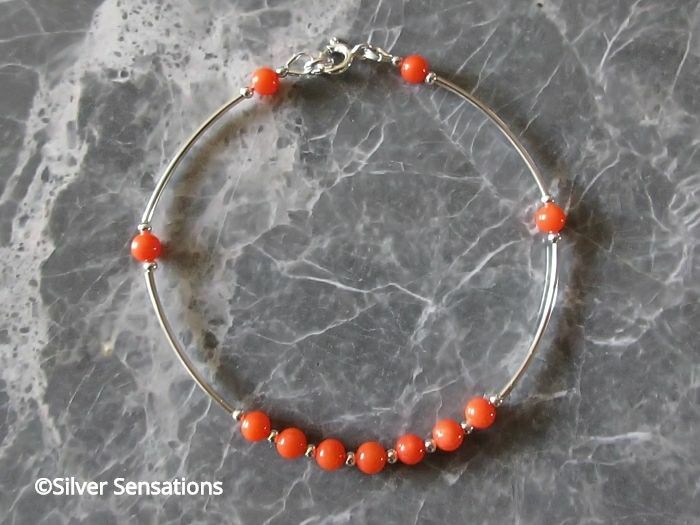 There are 2 further orange Coral beads at each side of the bracelet. 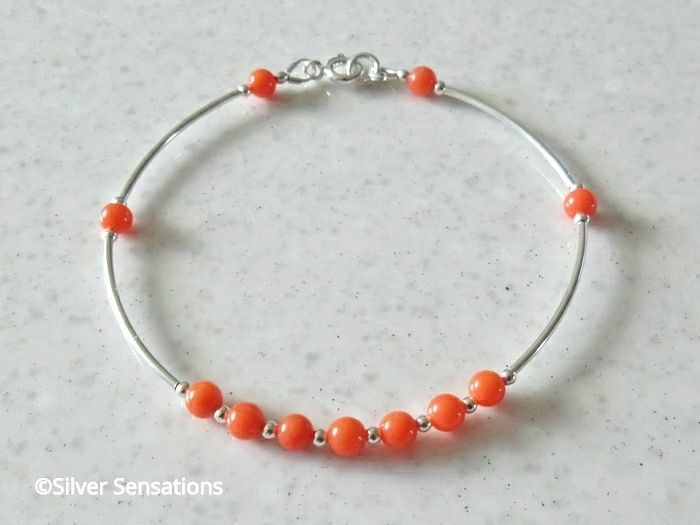 To complete this design I've used more of the Sterling Silver beads with curved tubes to create this bracelet's bangle style. 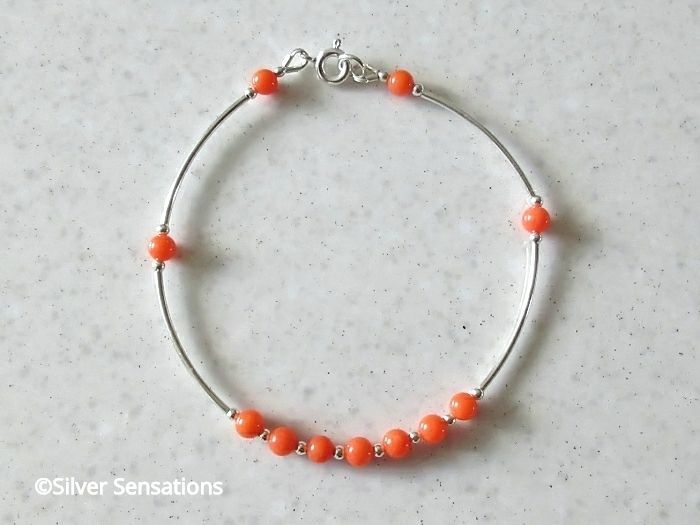 With a wearing fit of 7.75" this bracelet is finished with Sterling Silver fittings & a bolt ring clasp fastener. A very feminine warm Summery colour at any time of the year, to give your outfit a pop of colour.